Pond Lehocky welcomes seasoned workers’ compensation lawyer Stephen R. Miller to the firm. He is a former partner of the defense firm Post & Schell, P.C. where he spent 13 years of his career. Miller has 15 years of experience in Pennsylvania workers’ compensation law and has litigated thousands of cases. 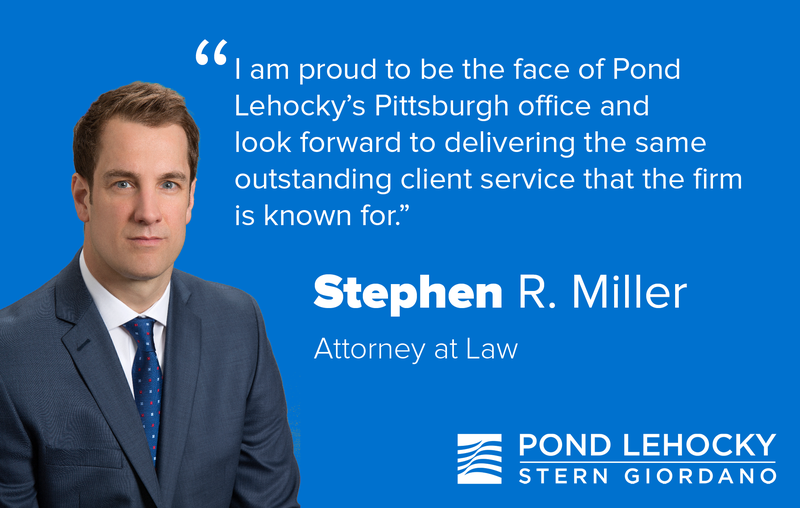 He will work out of Pond Lehocky’s Pittsburgh office and serve clients throughout western Pennsylvania. Miller concluded that his advocacy skills and blue collar sensibilities were better suited to defending injured workers, and Pond Lehocky offered him the opportunity apply them at home in western Pennsylvania.